thank you so much for the reply, i really do appreciate it! but does it seem so complicated to do all this stuff? Don't buy this. One of my friend has this phone. Display quality is really bad. Low resolution. I have Xperia U much better than this high resolution display. Has the same specifications but and less expensive. Go check it out. this is a waste. ! did xperia go can used video call? 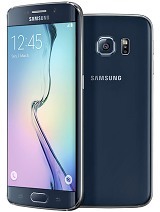 nice phone , fully packed with features... looks are better than average. But at the time when i bought it I was considering motorola defy plus also and i really don't know was my decision right. Right now m having no probs with my phone but when my cousin told me that he bought defy plus and when I holded that in my hand, I thought for once at least that it fits very good in palm. 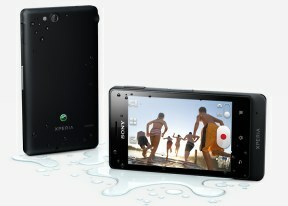 So here I jst want to say that before buying xperia go once have a look at defy plus. No doubt my phone has more features than motorola defy but only point is design makes it a bit more bulky (WIDTH). I beg ur advice,plz tell whether loudspeaker performance for listening music is below average,too low sound? the phone comes with a 4gb internal memory and has option for memory card slot for up to 32gb, but he thing is that, when you try to transfer files from phone memory to the sd card, it still showing and consuming the phone memory :( this is something that sony needs to clear out to all GO users. buy sony xperia go original set better or ap set better?? I just want to share my experience with GO ! after 2 days i bought, my GO! fall from my bed. Then i checked, it glass cracks, i just confuse how it can happen. How can, only a half metres it affected so seriously glass cracks.. Any info from GSM Arena about this matter? I can upload this cracks picture. Even the video from youtube, its very inversely. Thanks, sorry if my english is bad.. lol..
Anup, 20 Nov 2012go to a nearest sony support and just ask them for an update for your go phone, they are now u... morethank you! Does anyone have an idea what to do with this set when it gets hanged? after several application opened, the phone hang, and automatically closed.. how to open it again? since there are no battery to pull out..